Where To Find Us Over The Coming Months! With the start of the new year comes a whole host of opportunities to see us at conferences. Conferences are great opportunities to browse the books at your leisure, buy them at our special conference price and speak to one of the Channel View/Multilingual Matters team. We’re always happy to meet our readers and authors in person and talk about the books, publishing process or just discuss the sights of the host city! Sarah will be at our first major conference of the year when she attends the CAUTHE conference next week. 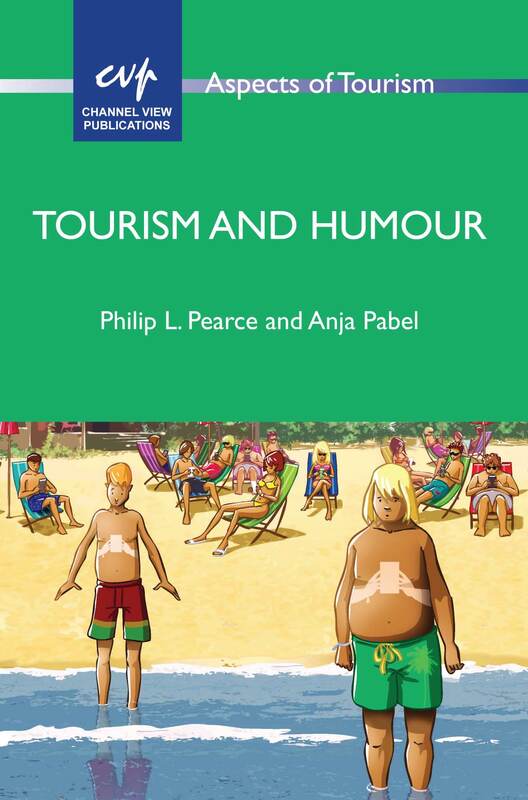 This conference is an annual highlight for our tourism studies list and this year Sarah will be showcasing our brand new titles Femininities in the Field (edited by Porter and Schänzel), Tourism and Religion (edited by Butler and Suntikul) and Qualitative Methods in Tourism Research (edited by Hillman and Radel). Throughout March and April, Tommi, Anna, Laura and Flo will attend four major conferences in the USA: NABE, AAAL, TESOL and AERA. We’ll also be welcoming Elinor, our Marketing Manager, back to work after her maternity leave so March will certainly be a busy month for us all. 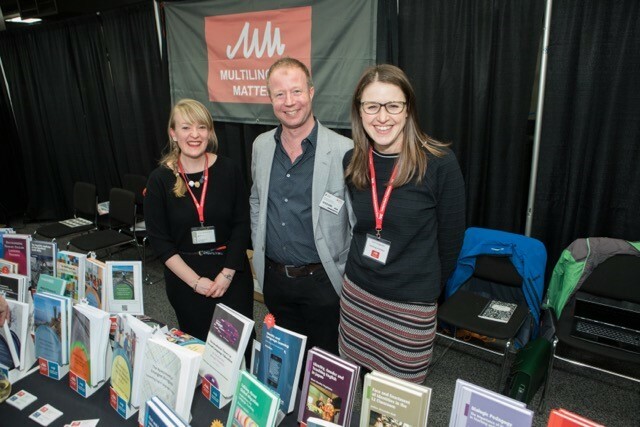 In April, after an 8-year hiatus, Multilingual Matters will be exhibiting again at IATEFL in the UK. We’re looking forward to a ‘local’ conference and hoping for some nice spring sunshine in Brighton. 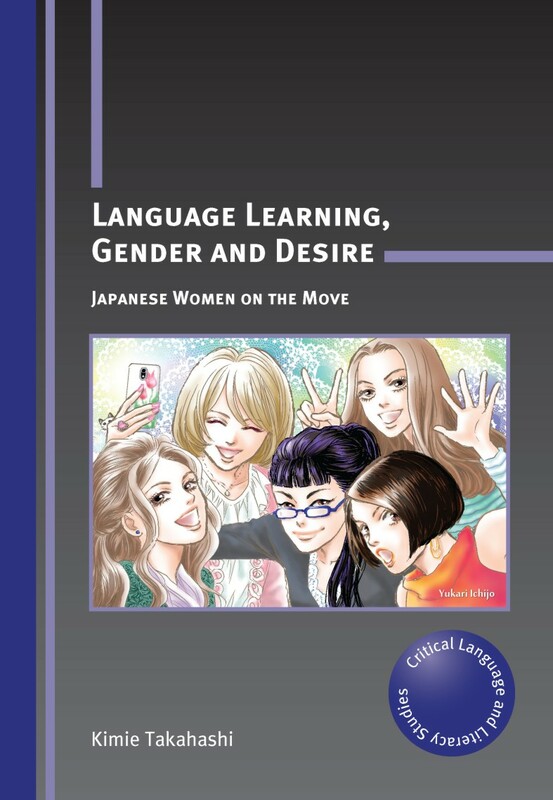 We are also making plans for PLL3 (Japan), Sociolinguistics Symposium (New Zealand) and Tourism Education Futures Conference (Finland), all three in June. The aforementioned are just a flavour of the conferences we’re set to attend in the first half of 2018 and do look out for us at a number of smaller symposia too, plus more later in the year. We hope to see you somewhere at some point this year! Publishing FAQs: All Your Conference Questions Answered! How do you choose which conferences you attend? Firstly, we look at the theme of a conference, the size of it (big isn’t always better) and who has recommended it or told us they’ll be attending. We then look at whether it is affordable and decide whether to attend in person or send a display. Finally, we check our travel schedule and agree who will go where. As conferences often fall at roughly the same time and sometimes, to our frustration, even clash with each other, they take a considerable amount of logistical planning. Funny as it sounds, as well as coordinating ourselves, we also have to make sure that things such as tablecloths are in the right places with the right people! How do you decide which books to bring? Once we have decided to be involved in a conference, as Marketing Manager, it is my job to sort out all the details. I look at the programme and decide which of our recent books are relevant and which of our authors are attending. It is often a real challenge to cut a list of perhaps 100 books down to a reasonable number that will fit on a single table! But having to cut down a long list of books that we’re keen to show off is not a bad position to be in. How many copies do you bring of each book? This is another source of much umming and ahhing! I come up with a figure by combining information about how popular a book has been at previous conferences and its sales in general, with how relevant it is to the themes of a conference and whether the author will be there to promote their book. It is not the most scientific of processes but, having been to many conferences, I have a good feeling for what is about right. I’ll then check the list with whoever is attending the conference and they’ll make further suggestions or amendments. Did you bring the books here in your suitcase? No! This always makes us laugh because the books are really heavy and usually fill several big boxes! Except in exceptional circumstances, such as when we are going by car, the books are delivered straight from our warehouse to the conference. Why is my book not here? We do our best to bring authors’ books to conferences if they have forewarned us that they’ll be there. If we haven’t got your book, it might be because it is slightly older and we have to give preference on the stand to newer books. My favourite response to this question is that if it’s too old to have made the cut, it might be time for you to think about writing us a new one to bring! Can you ship the book to me for free? If we have sold out and there is no copy for you to take, then yes, we will gladly send you a copy with free shipping. This is a sign that I didn’t get the numbers quite right and should have brought more so that you can take one. But if there is a copy on the table and you want it shipped, we do ask that you pay the shipping. It makes sense really: we will have paid to have the book shipped to the conference, will then pay to have the booked shipped back to the warehouse and then pay again to ship the book to your home. If we did all that shipping, the costs would soon add up to way more than the price at which we sell the book. So, in order to continue to offer the books at a special conference discount, we cannot also offer free shipping. Why are your books so much cheaper here? You’re buying directly from us, so we don’t have to give a cut to any booksellers or wholesalers who might otherwise be involved in the book selling chain. 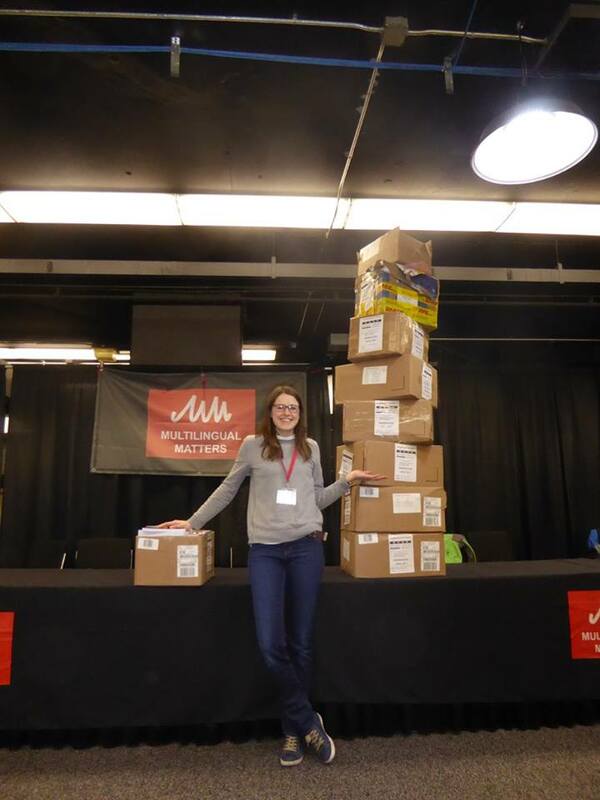 We don’t expect to make a profit through book sales at a conference; conferences have an immeasurable value for us in terms of meeting people; showing our books to a new audience and keeping up with trends in the field. The price we charge is therefore as cheap as we can afford to sell it at, with a small contribution to the cost of attending conferences. Do you get to go to the sessions? Yes, sometimes, especially if there are two of us and one can man the stand while the other goes to a talk. We are also usually able to attend the plenaries as most other delegates will do so too and thus these are quiet periods at the stand. At other times, delegates may make the most of a session when there is no paper of interest to them to browse the books and chat with us. This is often much easier done when we are quiet than during the rush of the coffee or lunch break and we’re usually glad of the company! What do you do when it’s quiet? If we’ve just had a busy coffee break then we’re usually glad to have a moment to sit down! If there’s no-one browsing books and no session we want to attend, then we might tidy the stand, check emails and social media or catch up with the other publishers. And of course, if it’s really quiet, we have plenty of reading material in front of us! We’ve had fun reminiscing about previous conferences and come up with the following that may combine to make a really good conference from a publishing perspective: excellent speakers whose presentations spark interesting conversations and discussions; a well-organised committee and host venue; being close to the refreshments (not only because we enjoy them, but because this is where delegates tend to congregate); a location that will attract many attendees and is easy to get to; a well-thought-out schedule that isn’t overcrowded and runs to time; plenty of table space so we can spread out our books; double-sided name tags with large print and, even though it’s out of everyone’s control, rain! A wet conference means that delegates are more likely to spend the time between sessions browsing books than out enjoying the host city! Do you have a book on x-y-z? We can’t promise to know all our books inside out but we’ll do our best to help you find what you’re looking for. And if neither you nor we can find it, then that’s probably a good sign that you have pointed out a gap in the market! Why not talk to us about writing for us? Where are the toilets? Is this the registration desk? Can I put my coat under your table? Can I leave my child with you? Do you have a USB stick I can borrow? Can I check a reference in a book? These and many others are frequently asked and we’re always willing to answer and help out where we can, even if it’s just sending someone in the right direction. Sometimes it’s from the small interactions that the greater conversations begin. We’re busy making plans for 2018 and hope to see you at a conference somewhere soon! Two years ago Tommi and I attended the Sociolinguistics Symposium in Jyväskylä and had a fantastic time so I have been very much looking forward to returning to the city ever since it was announced that the University of Jyväskylä would be hosting the Psychology and Language Learning (PLL) and European Second Language Acquisition (EuroSLA) conferences. The week started with Paula Kalaja, the chair of the local organising committee, welcoming delegates to the university and announcing the conference theme, “Individuals in Contexts”. There followed many papers and discussions, plus thought-provoking keynotes from Sarah Mercer, Maggie Kubanyiova and Phil Benson. The coffee and lunch breaks provided many opportunities to continue the conversations and, as it was a smaller conference, it was nice to see so many new connections being formed and ideas being shared and discussed among the whole spectrum of the delegates. 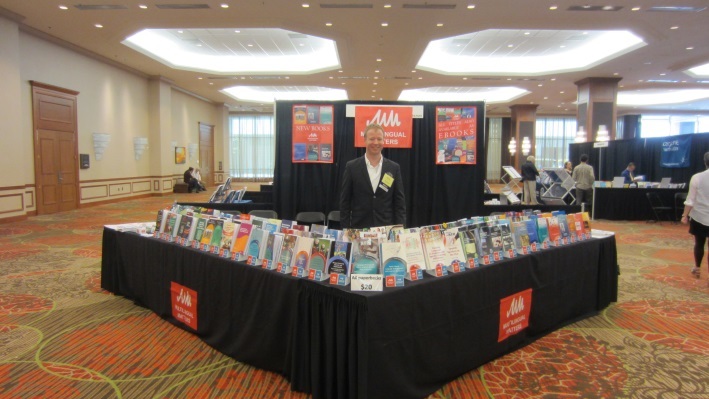 Of course, breaks are also the busiest time at the Multilingual Matters book display and I was happy to meet lots of avid readers and researchers! Our most popular titles were Positive Psychology in SLA (edited by Peter D. MacIntyre, Tammy Gregersen and Sarah Mercer), the 2nd edition of Bonny Norton’s bestselling book Identity and Language Learning and Conceptualising Integration in CLIL and Multilingual Education edited by Tarja Nikula, Emma Dafouz, Pat Moore and Ute Smit. That book was so hot off the press that I brought copies in my suitcase direct from our office! Along with the academic programme, I very much enjoyed the conference dinner at which we experienced delicious Finnish food, traditional folk music and a beautiful view across the city, for the dinner was held in a water tower high on a hill. It was a very strange feeling eating dinner knowing that you’re sitting right above an awful lot of water! The conference drew to a close with the exciting announcement of the formation of a new association dedicated to this sector of the field, with Stephen Ryan the newly-elected President. He spoke of the goals of the association and announced that PLL3 will take place in Japan in 2018. I’ll certainly be keeping my eye out for more information on that one! With a pause after PLL only long enough to enjoy a quick dip in the surprisingly-not-too-cold lake, in rolled EuroSLA, one of my favourite conferences in our calendar. 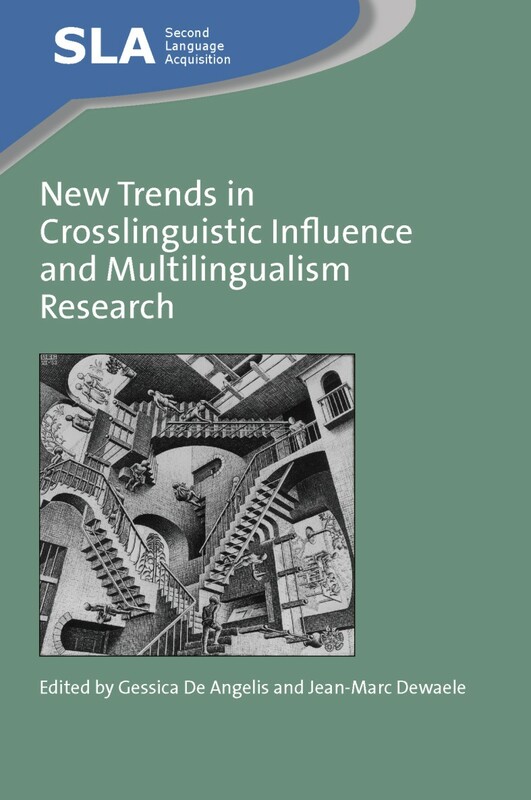 The theme for this year was “Looking back, looking forward: Language learning research at the crossroads” and, as at PLL earlier in the week, we were treated to a range of papers and keynotes from Søren Wind Eskildsen, Ofelia García, Marjolijn Verspoor and Ari Huhta. Although Ofelia García described herself as an outsider to the field, her impassioned talk titled “Transgressing native speaker privilege: The role of translanguaging” was my personal highlight of the whole week. Another top moment was the presentation of the EuroSLA Distinguished Scholar Award to our author, Carmen Muñoz, for her outstanding contribution to the field. 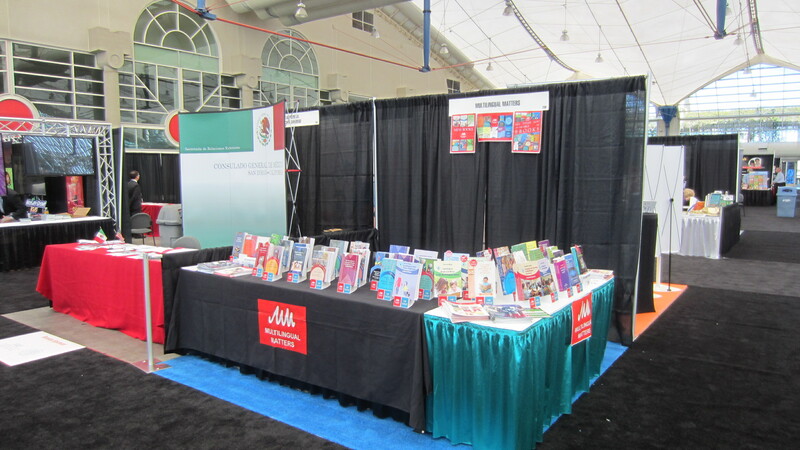 The focus of the book display shifted slightly at EuroSLA and bestsellers on the stand included Rosa Alonso Alonso’s edited collection Crosslinguistic Influence in Second Language Acquisition, Zhisheng (Edward) Wen’s new monograph Working Memory and Second Language Learning and John Bitchener and Neomy Storch’s book Written Corrective Feedback for L2 Development. As usual, the EuroSLA organising team also put on a fantastic social programme, with the highlights being the welcome reception in a Finnish rock club and a boat cruise on the lake to the traditional dinner venue, on arrival at which we were served a very strong but equally tasty local drink before enjoying more local cuisine and music. All in all it was a wonderful trip to a couple of great conferences and a very welcoming host city. I’m very much looking forward to the next ones already! Zagreb, Zurich, Zwickau…wherever in the world you work, there is a chance that you’ll meet one of us at a conference. We travel to many events around the world each year to promote our latest books and to meet with our authors, readers and contacts. Conferences are among our favourite aspects of the job as we love to meet people face to face and get to know the people behind email addresses and book orders! If you see our stand at a conference, be it in Zagreb, Zurich, Zwicklau (or anywhere else in the world) please do not hesitate to drop by our stand and say hello! This post is part of our ‘A-Z of Publishing’ series which we will be posting every Monday throughout the rest of 2015. You can search the blog for the rest of the series or subscribe to the blog to receive an email as soon as the next post is published by using the links on the right of the page. The book cover design process is one of the parts of production that usually gets our authors excited and I really enjoy working with them, together with Sarah (our production manager) and our external designers on the covers. We start designing the covers right at the beginning of the production process, as soon as the book has been approved for publication in fact. The reason for this is that we like to get the blurbs and design confirmed early so that we can start using them in our marketing materials. Each book series has a standard series design and each book in the series must have a cover which conforms to this design. This gives the series a strong identity and makes our books easily recognisable. 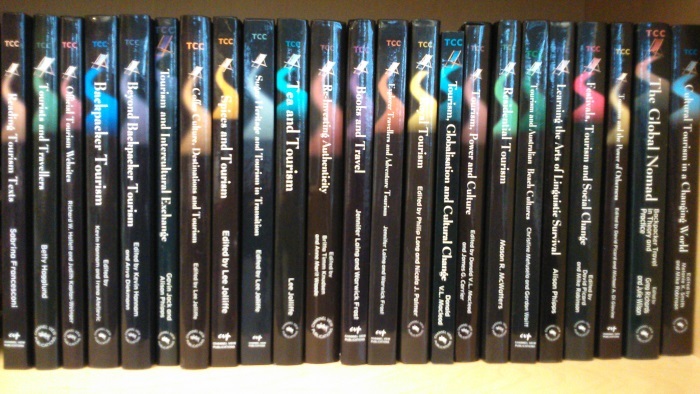 Anyone who has several of our books on a similar topic on their bookcase will soon see how similar the spines are! This conformity does not restrict the process however, and there is still plenty of opportunity for some creativity and fun during the design process! Most of our series allow for a cover with or without an image and we give our authors the choice between having an image or a plain cover. 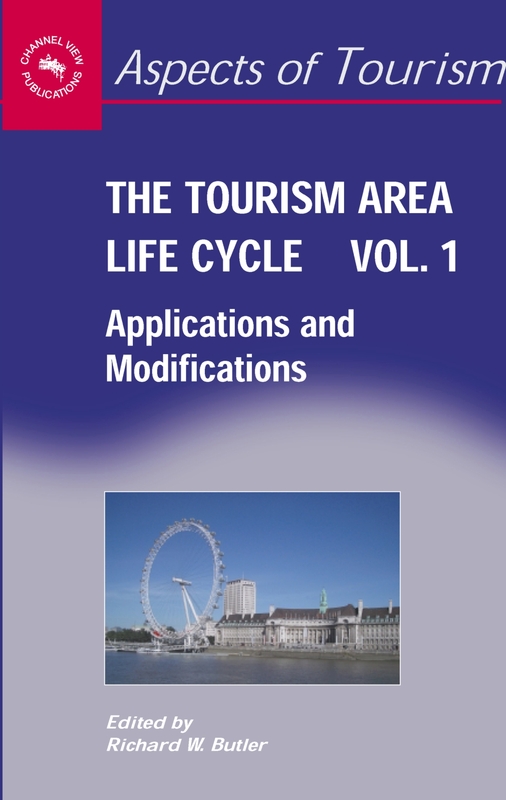 Some authors opt to have a cover with no image as it can be hard to find an image which effectively sums up the contents of the book. In this case we at least give them a say in the colours we use! Other authors are keen to have an image and we always make sure that they are then involved in deciding the artwork. Over the years that I have been doing covers we have been provided with all sorts of pictures, ranging from photographs taken by authors themselves to sketches done by a child of an editor to artwork created by the subjects of the book’s study, and everything in between! Where possible we try and use the authors’ first choice of artwork, but there are occasions when this is not possible, perhaps when permission can’t be secured from the copyright holder or the subjects of the image or a high resolution file can’t be obtained. When authors want an image but don’t have one themselves I usually help them search image libraries for suitable artwork. Browsing image libraries can be quite fun and the wide range of images available is incredible. However, searching image libraries can also be quite stressful! This is because we sometimes struggle to find an image that looks natural and not too staged or because we have a clear picture in our mind of exactly what we want but simply can’t find it. On one occasion I actually went out with my own camera and set up the photo that was used on the cover! Once the image has been chosen our designer draws up a proof, selecting colours which match the artwork or those that the author has suggested. The proof is then sent to the authors for checking and revisions are made before the cover is checked again. The front cover is then made into a jpg and we send it off to retailers and bibliographic databases as well as uploading it to our website. At this stage the back cover doesn’t have any reviews on it, as these are requested at the time that the design process is started and we usually give people a couple of months to read a manuscript and provide an endorsement. Once the quotes are received they are then added to the back cover and then the whole cover is checked by the authors, Sarah and me; and then finalised for print. The most rewarding part of the process for both us and the authors is, of course, finally receiving the printed copy of the book. People often come by our stand at conferences and tell us how colourful and attractive our books are, and that really makes our day! Over the next few weeks we’re going to be very busy at several conferences. If you’re going to be attending any conferences where we have a stand please come and say hello as we always like to meet people face-to-face and we’ll also have displays of our books available to buy at a special discount. First up is Motivational Dynamics and Second Language Acquisition in Nottingham which Tommi and Laura will be attending. 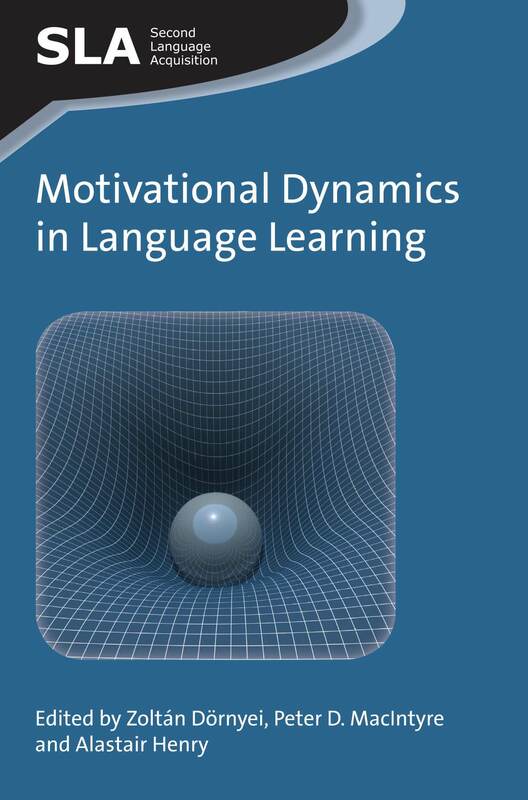 This symposium is organised by Zoltán Dörnyei, one of the editors of our forthcoming title Motivational Dynamics in Language Learning. Zoltán, as well as several other MM authors such as Ema Ushioda and Peter McIntyre, will be giving keynote speeches at the symposium. Following this, Laura will be heading up to York for EUROSLA while Tommi will travel to Warwick for the BAAL conference. Both of these conferences are regulars on our conference schedule and we wouldn’t want to miss them! 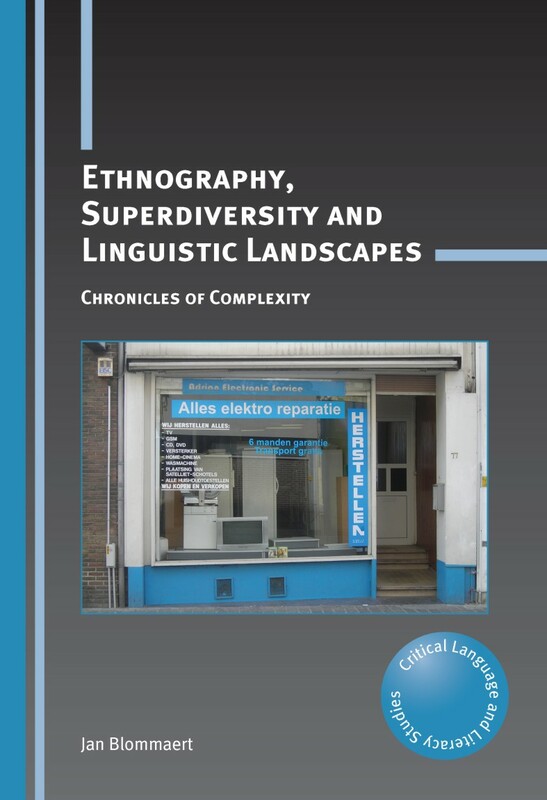 This year we are particularly excited to announce that Jan Blommaert’s book Ethnography, Superdiversity and Linguistic Landscapes has been shortlisted for the BAAL Book Prize. We’re really looking forward to the announcement of the winner and have our fingers crossed for Jan! The following week in September Kim is heading to the Explorations in Ethnography, Language and Communication conference in Manchester. Explorations in Ethnography, Language and Communication is a biannual conference associated with the Linguistic Ethnography Forum, a Special Interest Group of BAAL. This is the first time we’ve attended this conference so we’re hoping to make some useful new contacts. If you’re going to be there, please come and say hello to Kim, she’ll be very pleased to meet you. After all these conferences, we’ll all be back in the office for a while to catch up before heading to Germany in October for our annual trip to the Frankfurt Book Fair. Again it’s the time of year when we start to think about conferences and leaving our office in Bristol for different cities, countries and climates. 2014 is set to be a bumper year of travel as it seems to be the year when biannual and triennial conferences occur, and some one-off conferences also join our usual schedule. The year has kick-started with CAUTHE and NABE, both of which took place as usual in February. Sarah and Laura headed off in different directions around the globe – Sarah to Brisbane for CAUTHE and Laura to San Diego for NABE. Keep your eyes on the blog to read about Sarah’s trip soon. 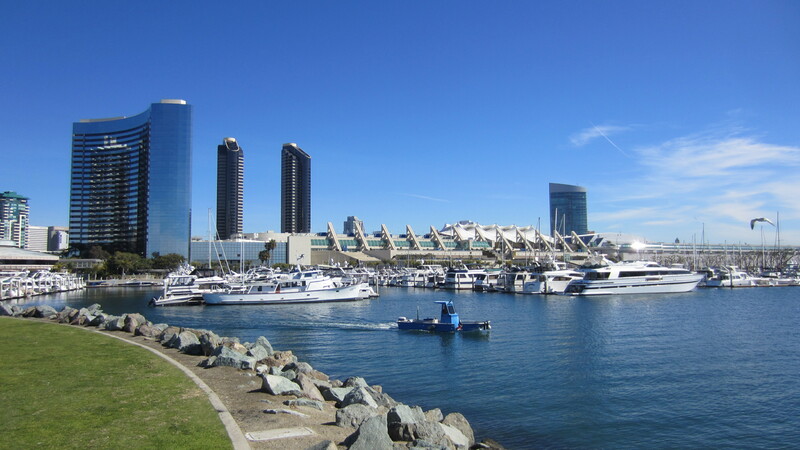 NABE was slightly blighted by the snow storms on the East Coast which meant that several delegates had to cancel their plans, but those of us who did make it enjoyed the Californian sunshine, when we weren’t at the conference of course! In March, Tommi, Laura and Kim will be at AAAL as usual. This year’s conference in Portland has a publishing focus, so Tommi will be running a session titled “Publishing your first book: From proposal to published product” in which he’ll outline the process of getting an academic book published, from early preparation and planning, through choosing the right publisher, submitting a book proposal and all the editorial stages to final production, publication, sales and marketing. If you are at the conference and at all interested in this subject please come along to the talk at 12:35 on Saturday. TESOL in Portland and AERA in Philadelphia are the other conferences in the US which we’ll be exhibiting at this spring. We will have a whole host of new titles with us at these conferences so do feel free to come over and browse the books and say hi. 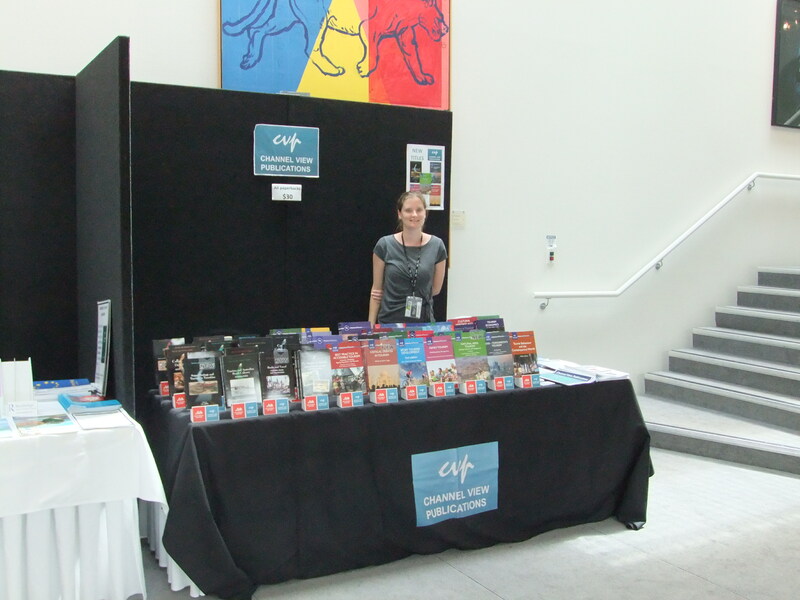 We always offer a special conference price on our books to delegates, and this year we’re able to extend that to our ebooks, so there’s all the more reason to come over and say hi! Other highlights later in the year include the Interdisciplinary Tourism Research Conference in Turkey in May, L3 and the Sociolinguistics Symposium both in Northern Europe in June, AILA in Australia in August and EUROSLA in York, UK to name a few. As ever, we very much hope that you’ll be able to meet us at one of these conferences and hope that you have safe and enjoyable travels too. Earlier this month I attended the Tourism and the Shifting Values of Cultural Heritage conference, organised by the Ironbridge Institute for Cultural Heritage, University of Birmingham and National Taiwan University. 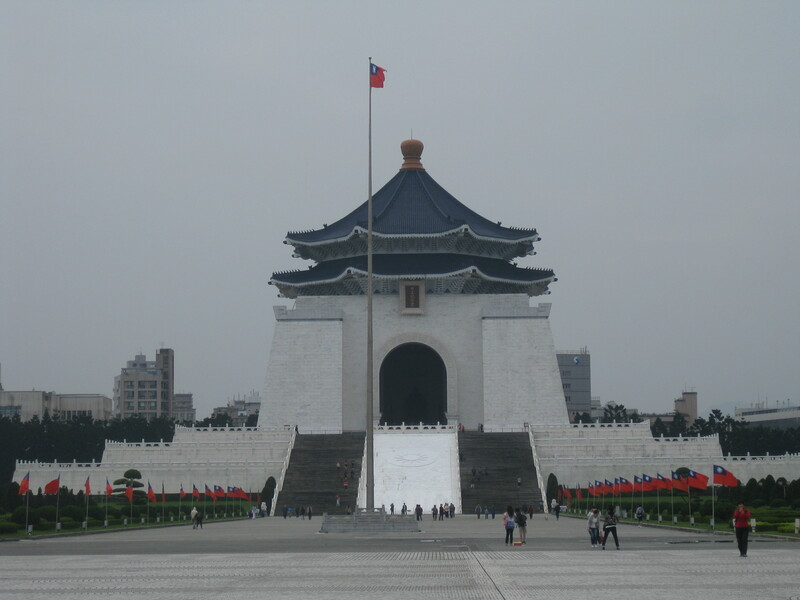 The conference was held at the Chiang Kai-shek Memorial Hall, Taipei – easily the most impressive conference venue I’ve experienced! 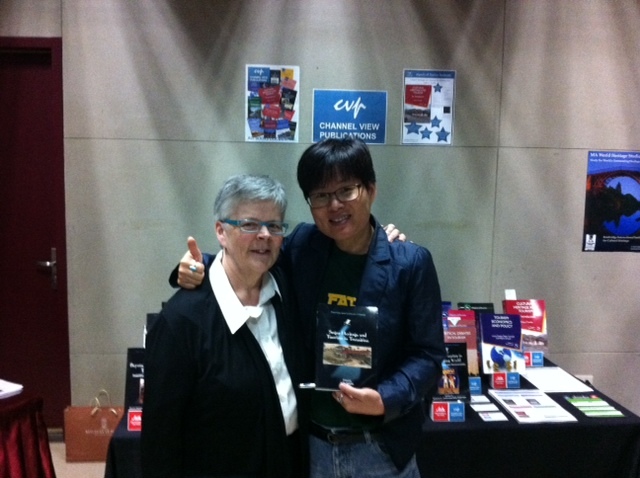 Lee Jolliffe and Joyce Yeh in front of the CVP stand! The conference was well-attended by Channel View authors, Mike Robinson was one of the conference convenors, and Lee Jolliffe, Philip Xie, Kevin Hannam and Rick Hallett all presented papers. 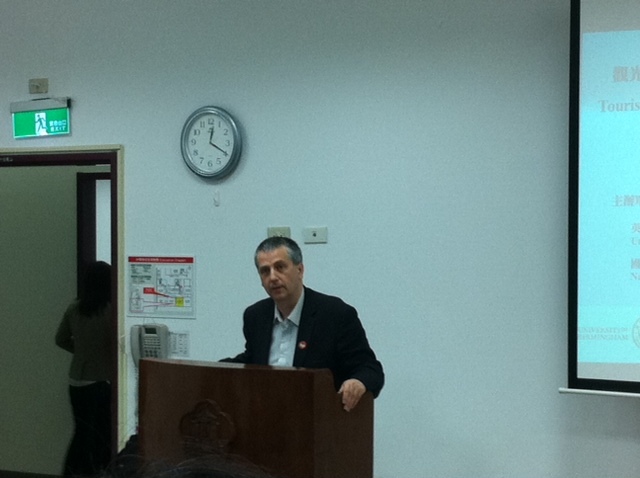 There were a lot of delegates from different disciplines such as history and anthropology. A lot of the attendees remarked on the high quality of papers and I managed to get to a few of them – spices, anime and aboriginal tourism among the subjects. Among the conference highlights were study visits round Taipei, a 10-course banquet at the Grand Hotel which offered amazing views of the city, and an evening of karaoke – with some brilliant performances from delegates! In the next few months we’ve got loads of great books coming out. 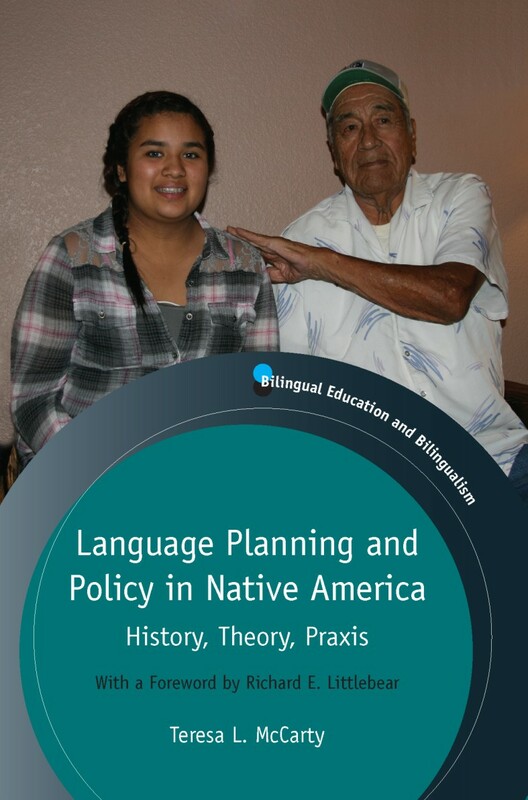 Highlights include: Language Learning, Gender and Desire by Kimie Takahashi; Language Planning and Policy in Native America by Teresa L. McCarty and English in Post-Revolutionary Iran by Maryam Borjian. We’re also getting ready for all the forthcoming conferences. We’ll be attending CAUTHE at Lincoln University, New Zealand in February where the conference theme is Tourism and Global Change. We are also returning to NABE this year and we hope to see lots of our authors there. As usual we’ll also be heading to the US for AAAL, TESOL and AERA and we hope to see a lot of familiar faces there. We always love to meet people face-to-face so if you’re going to be at any of these conferences please let us know as it would be great to meet you. Next week we are looking forward to welcoming Tom, our new intern. Tom is going to be employed to assist with editorial and office admin as well as to gain an overview of publishing. Later in the year Tommi and Elinor are travelling to Asia to visit our reps in Japan and China before attending the ISB conference in Singapore. If you have any queries about the conferences or any of our books just drop us a line at info@multilingual-matters.com. It’s been an eventful summer here in the Channel View office what with the Olympics, summer holidays, several birthdays as well as a 10 year anniversary and another still to come! Although we’re still mourning the end of the Olympics we can distract ourselves with the busy conference season. ahead of us. 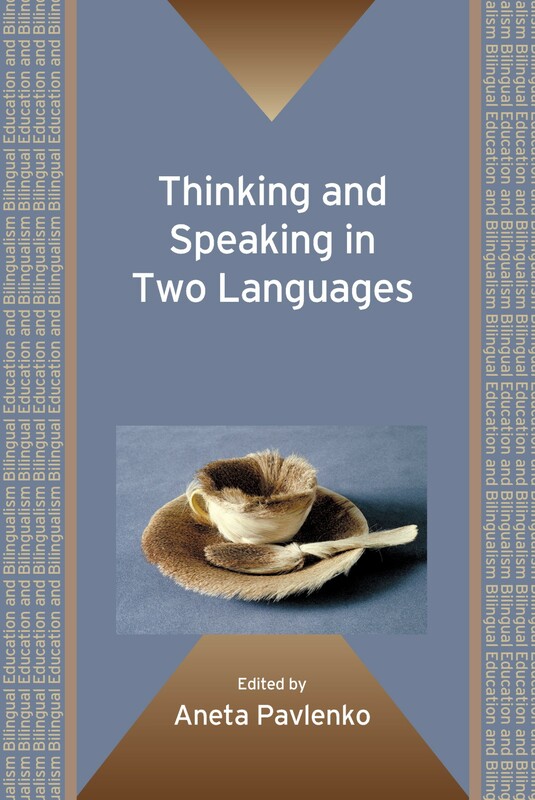 Next week Tommi and I are heading to the Freie Universität in Berlin for the Sociolinguistics Symposium where we will see many of our authors. This year’s theme is Language and the city and there are sure to be plenty of interesting papers being presented. We will be displaying all our new and recent books and they will be for sale at a bargain price of €20. September is also jam-packed with conferences, starting with EUROSLA and BAAL at the beginning of the month. Laura will be heading to EUROSLA at the Adam Mickiewicz University in Poland where the conference theme is Expanding discipline boundaries. 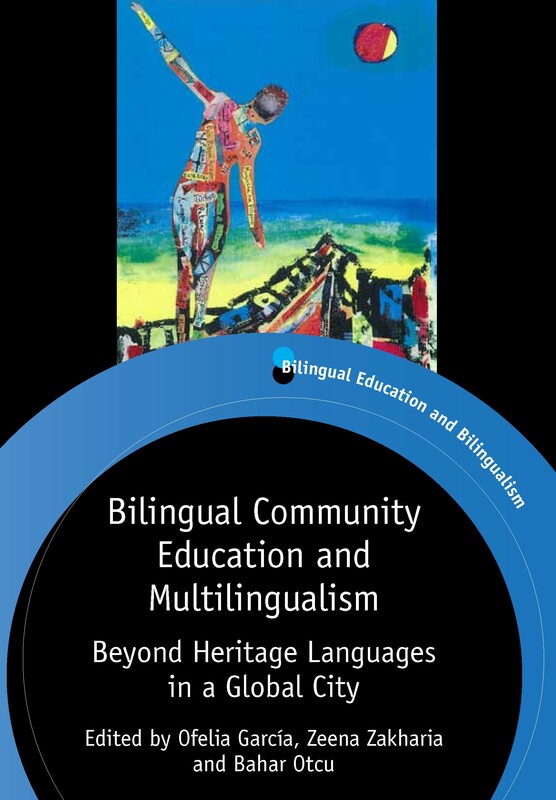 We’re pleased to see that one of our authors Jean-Marc Dewaele will be a plenary speaker at the conference and Laura will look forward to catching up with him, our other authors and new faces while she’s there. Please come and visit our stand if you’re going to be at EUROSLA and take a look at our books on display. Meanwhile I will be heading down to Southampton for BAAL where our author Aneta Pavlenko will be a plenary speaker. Again, I will be looking forward to seeing a lot of familiar faces and meeting new people too. This year’s theme is Multilingual Theory and Practice in Applied Linguistics and there seems to be a really interesting programme. Later in the month Sarah is heading to Bournemouth for the Tourism, Climate Change and Sustainability conference. Channel View author Richard Butler will be a keynote speaker here and the conference covers all aspects of climate change, sustainable tourism, ecotourism and green issues as well as disaster management. 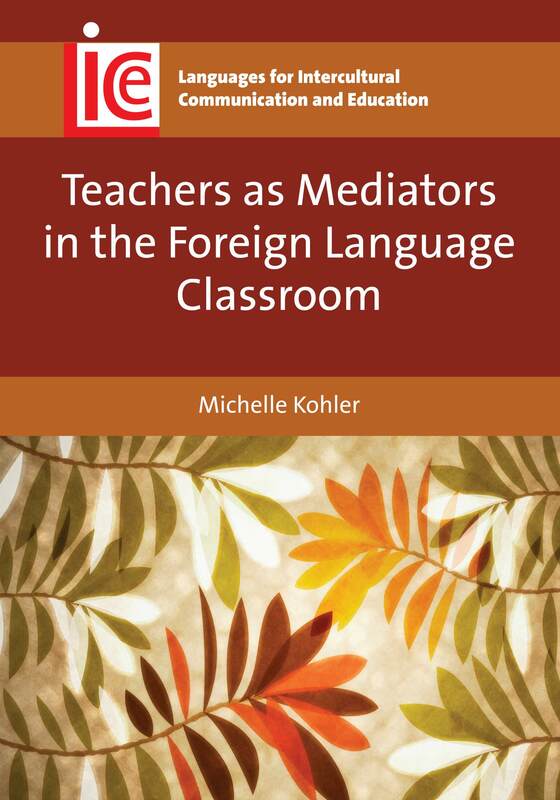 While Sarah heads to the seaside in Bournemouth, Tommi will be travelling overseas to Castelló in Spain for the Eighth International Conference on Third Language Acquisition and Multilingualism (L3) conference where several of the keynote speakers are Multilingual Matters authors. But if you’re worried that we spend our whole time travelling and won’t be in the office when you need us then don’t panic! You can always reach us by email when we’re away at conferences and there should always be someone in the office to take your call if you have an urgent query.